These Civil War Store Cards of Springfield, Illinois are ascribed to the shop of W.K. Lanphear. 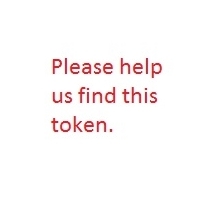 These tokens are the only issues known for this city. Lanphear was the second most prolific issuer of Civil War tokens in Cincinnati. His work is remarkable for the variety of motifs used as reverse dies on store cards. 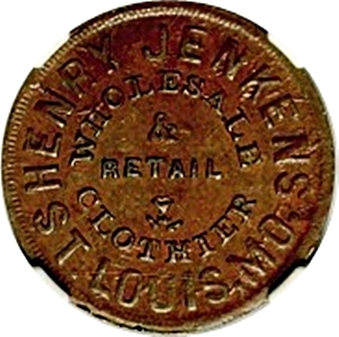 Henry Jenkens / Wholesale / & / Retail / Clothier / St. Louis, Mo. Jos.Zanone / Ice / Cream / Saloon / 285 / Central Av.